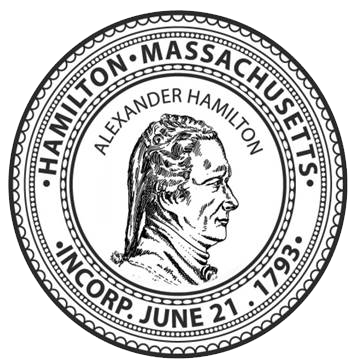 It is the responsibility of prospective proposers and or bidders to check the Town of Hamilton’s website for new information any addenda or modifications to any solicitation. It is the responsibility of the prospective bidder to keep current the email address of the bidder’s contact person and to monitor that email inbox for communications from the Town of Hamilton, including requests for clarification. The Town assumes no responsibility if a prospective bidder’s designated email address is not current, or if technical problems, including those with the prospective bidder’s computer, network or internet service provider (ISP) cause email communications sent to/from the prospective bidder to be lost or rejected by any means including email or spam filtering. Bidders are solely responsible for obtaining all information distributed for this solicitation via www.hamiltonma.gov. The Town of Hamilton accepts no responsibility and will provide no accommodation to Bidders who submit a response and or bid based on an out-of-date solicitation or on information received from a source other than the Town of Hamilton. In the case where the bid opening location shall be shut down as the result of an emergency, the bids will be due and opened at the same time and location on the 1st business day the building is able to re-open. The Town of Hamilton where applicable under MGL, is required to make the appropriate ‘Price Adjustments’ to Town Projects funded by State Appropriation Programs (ie: Ch. 90 disbursements).